From a heritage perspective, the National Trust believes the current proposal for the redevelopment of Burnham Beeches strikes a balance between the need to raise capital for conservation, and providing for an ongoing use that will see the property restored with relatively little new development, opening up parts of the site that have not been publically accessible for decades. The National Trust of Australia (Victoria) made submissions at the December 2017 Planning Panel Hearing for Planning Scheme Amendment C142, and Permit application YR-2016/10 on a range of heritage issues. A significant heritage impact arising from the plans is the proposed removal of up to 10 Beech trees on Sherbrooke Road—for which the property Burnham Beeches is named— to allow traffic to flow to the property, and facilitate safe access to the site. The Beech trees were added to the National Trust’s Register of Significant Trees in 2013, however they are not currently protected under the Planning Scheme or the Victorian Heritage Register. The National Trust has assessed the most significant of the above Beech trees as being the row lining the northern side of Sherbrooke Road. We submitted at the planning panel hearing that all possible measures should be undertaken to ensure that these trees are retained intact as a row in any intersection works. We also submitted that, should tree removal be shown to be completely unavoidable, we were generally comfortable with the possible loss of a limited number of trees on the opposite side of the road, to provide for the retention and protection of the Beech trees. On 27 March 2018, the Shire of Yarra Ranges adopted the Planning Panel’s recommendations, including a recommendation that the intersection works plans should be amended and “modified to reduce as far as practicable impacts on Beech trees to the east of the entrance”, to be submitted to and approved by the Responsible Authority. Following the adoption of Planning Scheme Amendment C142 and planning permit YR2016/105 by the Shire of Yarra Ranges, they were submitted to the Minister for Planning for approval. 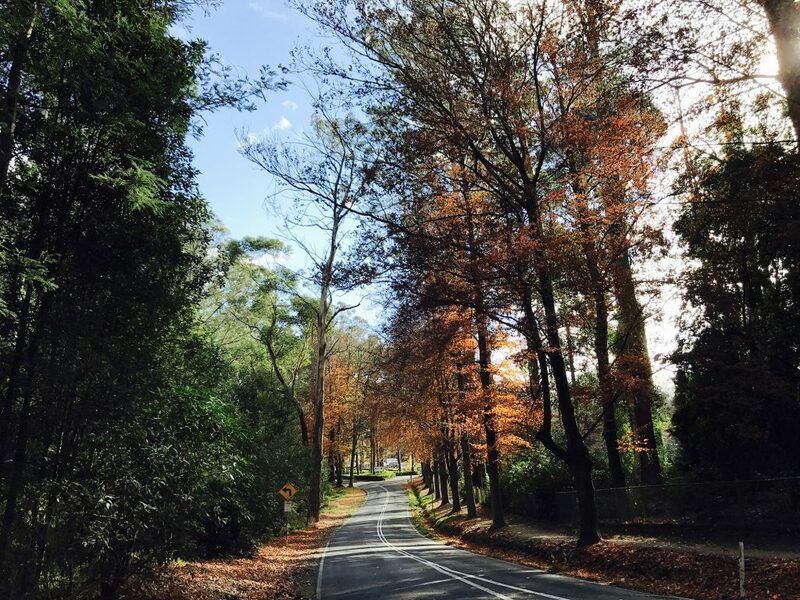 The National Trust is pleased that Council have imposed a permit condition requiring a review of the intersection layout to minimise the number of trees that need to be removed, and expect that all possible efforts will be made to allow the trees to be retained.